Fairgoers have the opportunity to save big through several pre-Fair deals as they make plans to “Come Home” for the Centennial Clay County Fair. Advance adult gate admission tickets are available for $7, saving fairgoers $3 before the gates open Sept. 9. Tickets can be purchased online, at the Clay County Fair and Events Center Box Office, or at more than 70 locations throughout northwest Iowa and southern Minnesota. 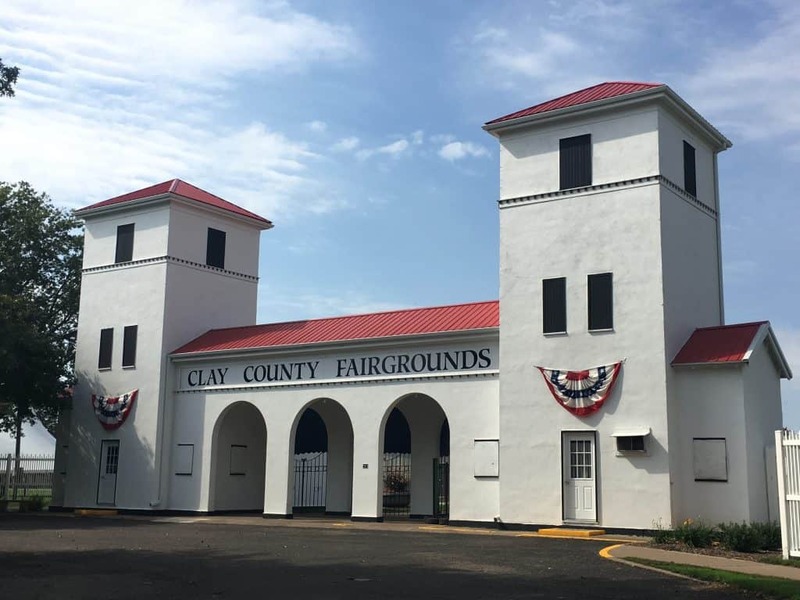 To purchase those tickets (or see the list of locations where you can buy in person), please visit www.claycountyfair.com. Advance carnival wristbands for the GoldStar Amusements Midway are available online, at the Events Center Box Office, or at various Godfather’s Pizza locations in Iowa and Minnesota. All-Day wristbands are valid for unlimited rides all day on Saturdays or Sundays for $22 in advance (another $3 savings). VIP wristbands are valid for unlimited rides all nine days of the Fair. The wristbands are $49 in advance, saving fairgoers $6 if purchased in advance. To purchase those wristbands (or see the list of locations where you can buy in person), please visit www.claycountyfair.com. Fair Food Bucks are a special for fairgoers. Each Fair Food Buck is worth $1 and can be redeemed for food or beverage at any non-carnival food and beverage vendor at the 2017 Centennial Clay County Fair. Fair Food Bucks can be bought on the Fair’s website or at the Events Center Box Office. Tickets for all U.S. Cellular Grandstand events are also on sale. Grandstand tickets are available online at www.midwestix.com at the Events Center Box Office, or by phone at 515-244-2771. This includes the six concerts, two auto races, two chuckwagon races and three truck and tractor pulls.